If you have a fifth-wheel trailer hitch but want to tow a gooseneck trailer, you can choose from several kinds of adapters to help you. Some of these adapters replace the inner pipe on a standard gooseneck coupler and have a fifth-wheel king pin at the base. 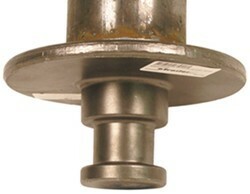 This king pin will fit your fifth-wheel hitch. Other adapters attach to the industry-standard fifth-wheel rails in your truck bed and include a gooseneck ball that hooks up to your gooseneck trailer. The option you choose will depend on your particular situation and preference. This type of adapter replaces the gooseneck trailer's inner tube and allows the gooseneck trailer to fit an industry-standard fifth-wheel hitch. If your trailer's gooseneck coupler height is adjustable, you can simply remove the inner tube by loosening the set screws or removing the pin(s). Then you can slide in the adapter that has the king pin and tighten the set screws or reinsert the pin(s). This type of adapter comes in two versions: a standard 4" square and standard 4" round version. With this type of adapter, you can easily switch inner tubes to tow the trailer with either a gooseneck hitch or a fifth-wheel hitch. The benefit is that you will be able to tow the trailer with different vehicles that have different types of hitches. If you don't want to adapt the gooseneck trailer, another option is to use a hitch that fits in place of a fifth-wheel trailer hitch. 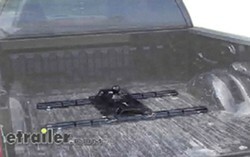 These adapters fit into the above-bed fifth-wheel rails just like a fifth-wheel hitch. 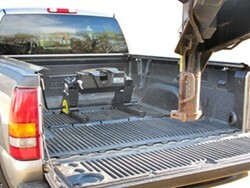 Some models even have an offset for use in short-bed trucks, which require more clearance. 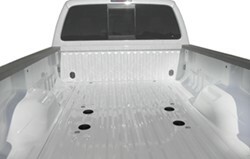 There are even options for the underbed mounting system for the Reese Elite series and the factory underbed system for Ford Super Duty trucks. These hitches fit the same way as their fifth-wheel counterparts.